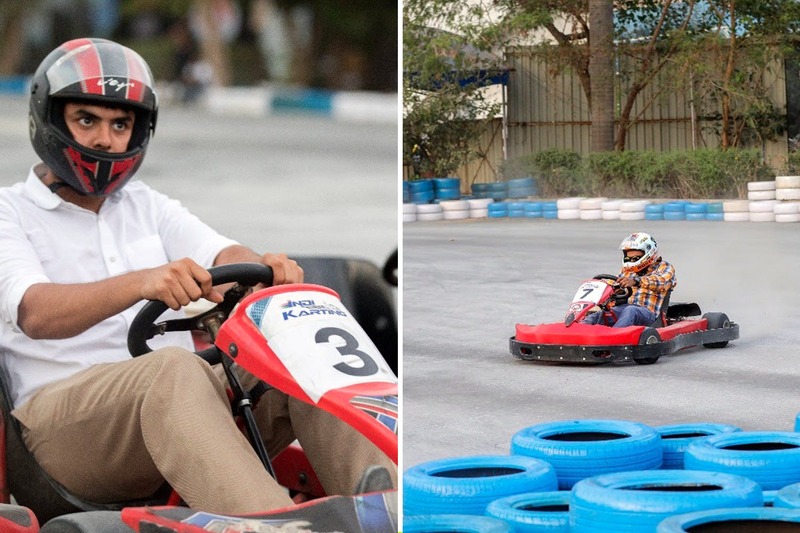 When we think of go karting in the city, the first, and only, place that comes to mind is the track in Powai. But, why go that far when you now have an option closer to home? Ajmera ILand in Wadala has constructed a mean ‘ol race track for the likes of us, but what makes it so special, you ask? Well, regular race tracks are made from concrete, which doesn’t help much while manoeuvring, so keeping that in mind, they’ve made the widest track in the region using tar, which helps you swerve and make the right moves, apart from being safer. The track will be wide enough to host national level FMSCI sanctioned go-karting races. But the thing that gave us the feels was that this track was made to cut down people racing on the streets and indulge in something that is safe. You now have the chance to go wild right in the heart of the city – the go karting track is spread across a whopping 8,00,000 sq. feet of space and is 410 meters long – making it exclusively designed for speed. Think the rains can be a bummer? Thanks to the tar track (which helps with a good grip), you can speed your way across one point to another and race against friends or foes; it’s your pick. Ajmera group has actually teamed up with Rayo Racing Group, a popular karting firm based out of Pune, to give you the perfect racing experience. It’s time to channel your inner Schumacher and embrace the racing driver inside you. If you crack this circuit in the rains, we feel you already have a lot to boast about! Currently, the timings are 2:30 PM – 7 PM during the weekdays and 11 AM – 7 PM during the weekends. After 10 July, the closing time will extend to 10 PM.